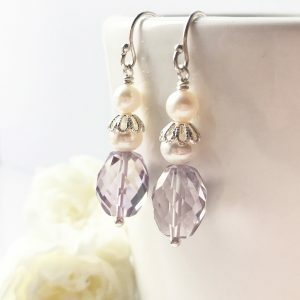 Elegant pink amethyst drop earrings with freshwater pearls and sterling silver. 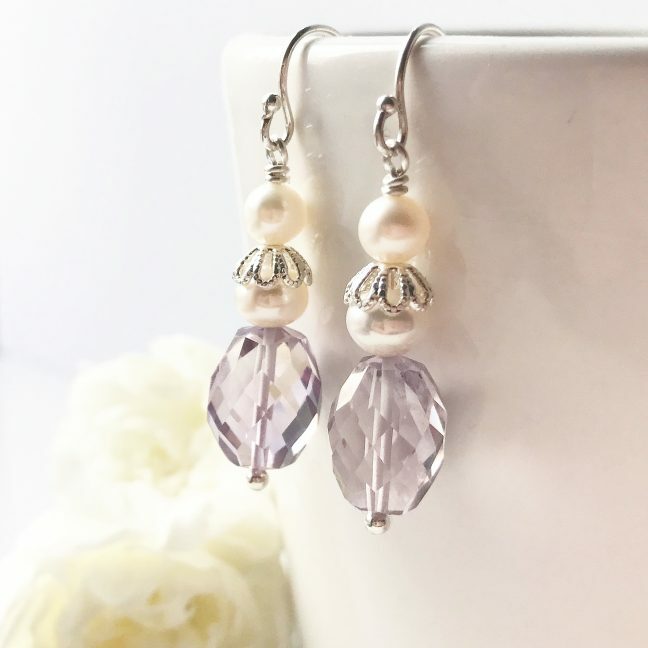 The amethyst earrings have gorgeous pink amethyst faceted barrels, hand selected freshwater pearls with elegant filigree cups and sterling silver earring hooks. 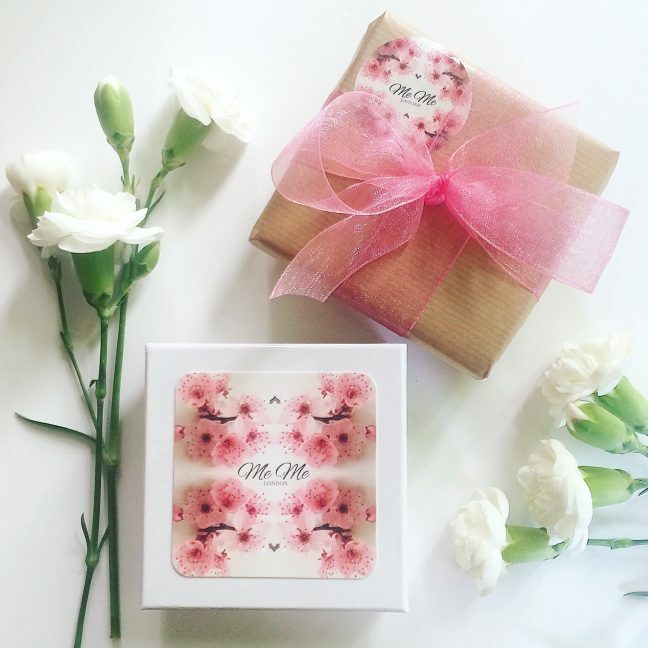 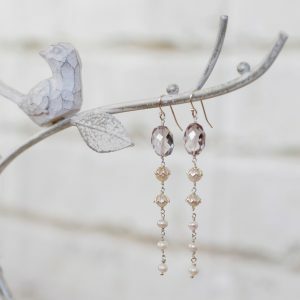 These timeless and classic earrings are part of Me Me Jewellery’s new ‘Crush’ collection. They are perfect for bridal earrings, bridesmaids earrings and as a gift, but equally as wearable everyday to add a touch of elegance and style. 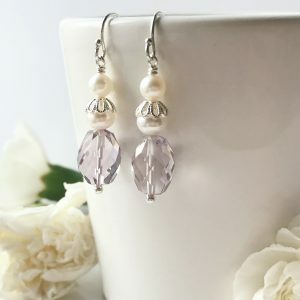 The earrings are 1. 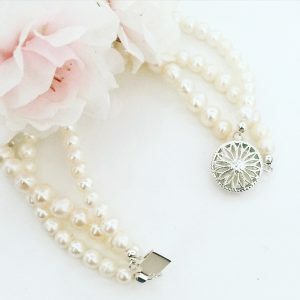 5 inches in length and are lightweight to wear. 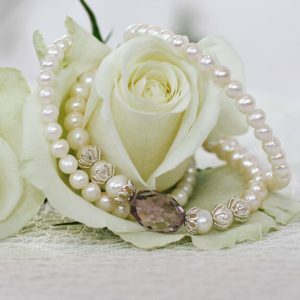 The freshwater pearls are 5mm and 6mm. 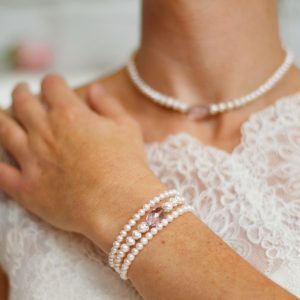 The pink amethyst is approximately 12mm. 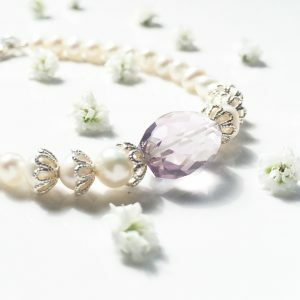 Amethyst is Februarys birthstone. 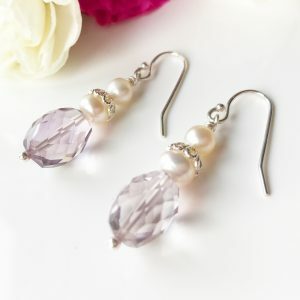 Hence, these lovely earrings would make a great gift of birthstone earrings. Would you like a different size or colour? 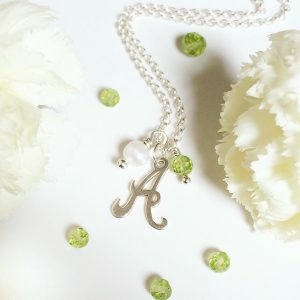 The jewellery can be custom made upon request, so please just email and ask. Finally, all gemstones are natural, therefore they may vary slightly in colour and size.